Plymouth University has many very positive qualities which make it a really fantastic place to study. The compact campus is incredibly useful for jumping between lectures, the library and social events, and with everything within a very short walking distance you are never far from anything you could ever need. Whilst studying there this was my favourite element of the university, it was so easy to be spontaneous and get involved in all the social events on campus – I just had to look out my window to see if anything was happening! It is perfect for becoming immersed in the social university experience. Going beyond the social aspect of the university, the teaching at Plymouth is exceptional. I studied BSc Psychology (Hons) and the course provided everything I needed to reach my goal of obtaining a first class degree. The lecture material was always insightful and innovative, and the staff were incredibly supportive, especially during our final year. The highlight of the course for me was the offer of a placement year, which I completed between finishing my second year and starting my final year. It was an invaluable experience and I would highly recommend it to anyone who is looking to pursue a career in Psychology. During this year I worked with the research group NeuroCoRe, based in Plymouth, where I helped run research studies validating computerised diagnostic tools for dementia and other neurodegenerative disorders. This year provided me with vital experience and knowledge of research procedures and gave me the opportunity to work directly with people suffering from neurodegenerative disorders, experience which later made my applications for employment significantly stronger. Plymouth University provided me with everything I needed to start my long journey towards becoming a Clinical Psychologist, and along the way I gained many cherished memories and life-long friends. After graduating university I worked as a Research Administrator where I helped run the Bristol site of a large international research project. The research was looking at genetic testing and preventative medicine in Alzheimer’s disease and was funded by multiple pharmaceutical companies in the US. My role as Research Administrator was to ensure that the study was running smoothly and safely day-to-day. In late 2015 I accepted an Assistant Psychologist position at The Walton Centre in Liverpool, a world renowned specialist neurological and neurosurgical institution. Here, I work in the Neuropsychology department where my time is split between clinical and research work. In my clinical role I conduct neuropsychological assessments on service-users of varying neurological diagnoses. In my research role I assist in running various different research projects, including two looking at epilepsy in young people, one looking at the cognitive consequences of surgical removal of cysts in the brain, and another investigating the clinical effectiveness of radiotherapy for the treatment of a specific type of brain tumour. I am currently writing up an academic paper for one of the epilepsy projects and hopefully this will be published within the next year, which will be a very exciting and proud moment for me. During my time at the Walton Centre, I have also had the opportunity to observe an awake craniotomy, a procedure where a brain tumour or section of the brain is removed but midway through the operation the surgeons wake the patient up to assess if language function will remain intact after surgery. This was an incredible experience and really helped me put into context my knowledge of language and the brain. Looking to the future, I am working towards gaining a place on a Clinical Doctorate in Psychology and becoming a Clinical Psychologist. Above all, studying at Plymouth really sparked my interest in clinical psychology and set me on the path I am on now. 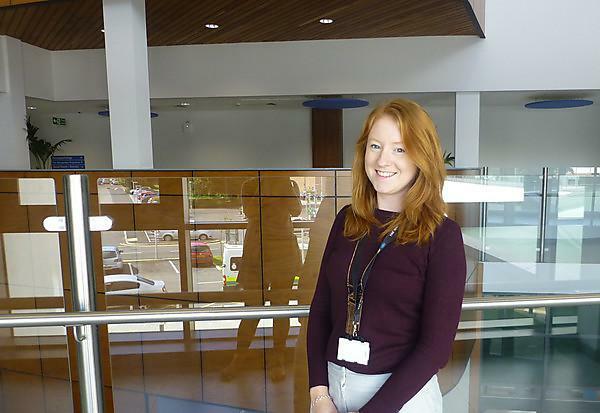 The opportunity to complete a placement year was invaluable and provided me with skills which directly related to my postgraduate positions and strengthened my job applications. Without the supportive teaching at Plymouth, I believe it would have been much more difficult to obtain a first class degree and I am immeasurably grateful to all the staff that supported me in my final year, particularly my dissertation supervisor, whose advice and guidance I would have been lost without. Plymouth University gave me the confidence to pursue my dreams, and the knowledge and experience to make my dreams possible.